Welcome back to Thumbelinaslifestyle! 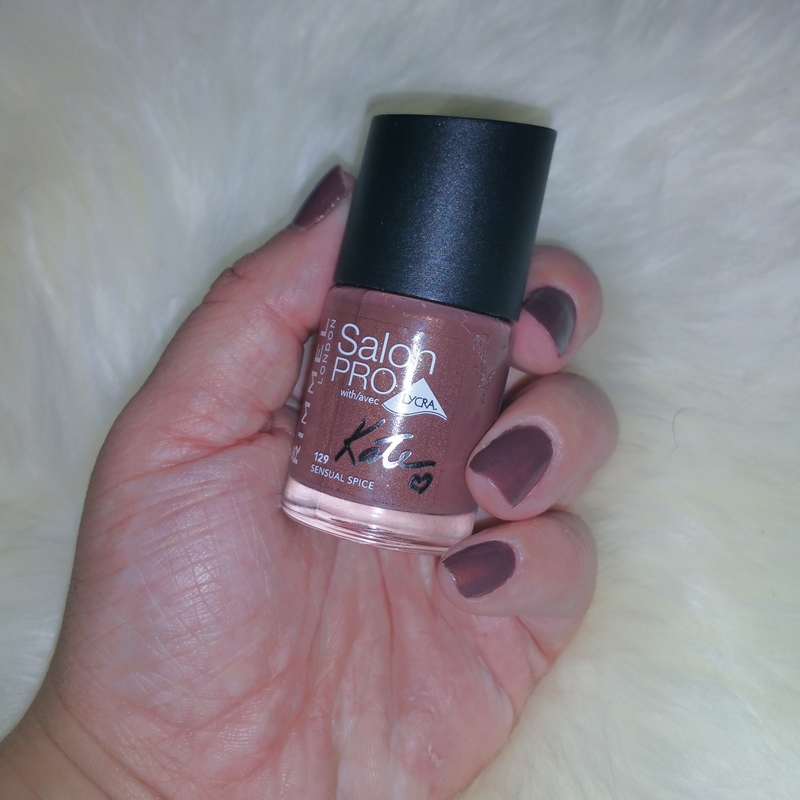 Today I am back with a full post on the Rimmel Sensual Spice Nail Poilish from the Dare to go Bare collection.Last week I wrote about my haul, and today I am sharing my thoughts on this polish. If you are curious about the haul click here. O boy guys, I am in love with the colour of this polish! Such a Kylie Jenner lip colour but, only for your nails. Its just a beautiful brown color with golden specs in it. Rimmel/ Kate Moss did so well on this colour. I find this colour so elegant and fall like. And I definitely l agree with the name Sensual Spice, because it does look sensual. 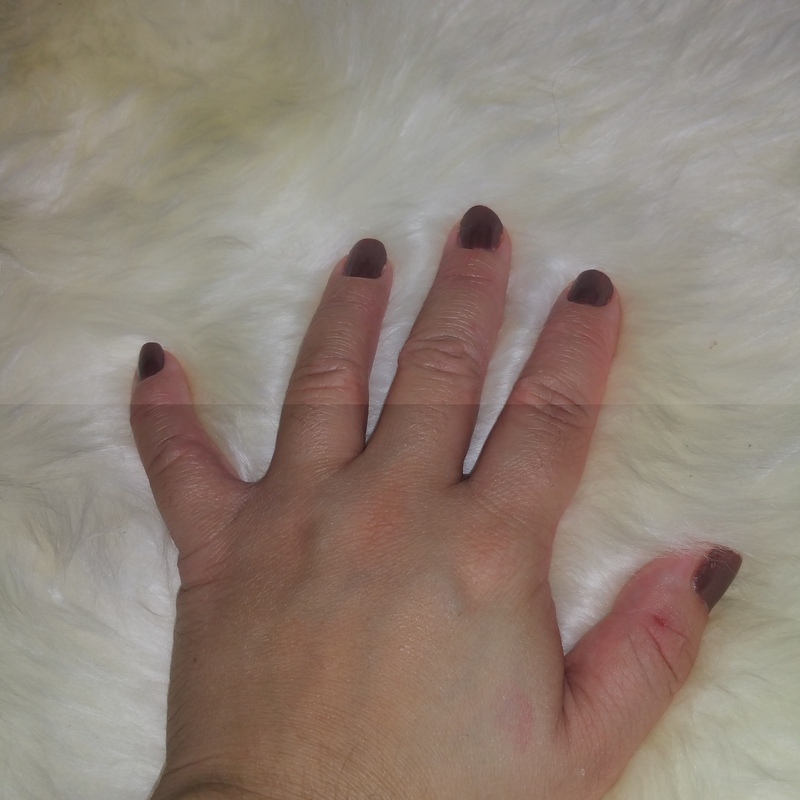 Besides the coloour that I am in Love with, I really like the formulation of this polish. It just glides on the nails beautifully and I like the brush because it just fits the nail so well. And two thin coats does the charm for your nails. Have a good week guys! And hope to see you back soon to Thumbelinaslifestyle! And as always be free to leave a comment or follow me via Thumbelinaslifestyle.com or BlogLovin. Such a pretty color, great for fall!